Did you just receive a “Revise and Resubmit”? And indeed “all the stuff” that reviewers and editors ask you to do can seem contradictory as well as overwhelming—you’re asked to provide a more detailed explanation while also cutting your total number of words. One reviewer wants certain articles and authors to be included in your review of the literature and bibliography while another reviewer wants you to significantly shorten the literature review section. Your choice of words is problematic. Your data is flawed. You should have asked different questions at the outset of your study. And so it seems to escalate in your mind as you read through the seemingly endless comments. R + R = accept! Remember an R & R is an “accept.” If the editors didn’t want to publish your work, you would have received a reject. They want to publish it! But it has to be improved by way of the valuable peer review process. Read the editors’ cover letter. 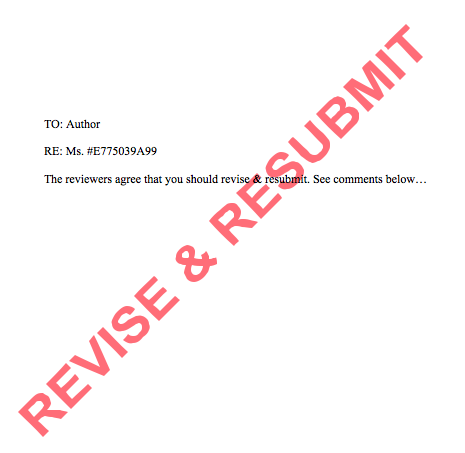 Because the editors want to publish your article, they will usually include a cover letter with comments that point you in the right direction in terms of which reviewer comments you must address to get published (and which comments you must diplomatically decline to address). Here’s how I read an R & R (and please understand that it’s much easier to read someone else’s than my own—see aforementioned flood of mixed emotions that an outside reader gets to entirely skip). 1- Print out the comments (recommended for anyone over 35 years old). 2- Take care of a bunch of easy changes that take up a lot of space on the page—these are any line-by-line feedback provided: typos, punctuation, wording issues, etc. Then cross them off the list. It makes the tasks you have to do seem fewer—and pretty quickly. 3- Circle all the comments that you will diplomatically decline to address. Maybe draft your diplomatic comments in a table or by using the Insert Comments feature in Word. Then you can cross all those items off your list. Reviewers showing off how much they know—and, more specifically, how much more than you they know. Stroke those egos. Thank them for pointing out all the ways Derrida and various hermeneutics would support your work, but don’t go down the rabbit hole of trying to create coherent prose yourself to address deliberately opaque erudition. Reviewers recommending general fields of literature you should include. When specific authors are cited in a review, it is prudent to make the effort to include them—this is one of the great ways that the peer review process makes your article better! But if the reviewer just thinks you should bring in “film theory” or add “more economic models,” the thing to do is stroke reviewers’ ego in your response, not in your article. 4- What problems can you address through deletion? If one reviewer finds certain wording problematic, sometimes you can just delete a sentence so that the confounding issue doesn’t come up. If you seem to contradict yourself, remove one half of what you said so that no reader would stumble upon a seeming contradiction. One trend I notice across fields is that academic writers often forget to weave their lit review / theoretical frameworks / analytic methods throughout their own research content. Whether presenting data or analyzing texts, you have to read between the lines for readers; the connections between your work and the theory described earlier in the article are probably obvious to you, but not so for your readers–we need it spelled out for us. It’s the same thing we tell our students when they ask for letters of recommendation: if you don’t know how the two things are connected (the course(s) you took with me and whatever it is you’re applying for), how am I going to know? Working on R & Rs for scholars is one of my favorite tasks to work on with clients. With outsider eyes and not suffering from all the mixed emotions of having the piece back in the “inbox,” it’s a fun puzzle for me to assemble. 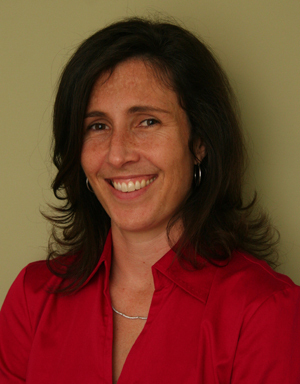 This entry was posted in Academic Writing, Career Advice, darcy lear, document preparation. Bookmark the permalink.